The travel distance from Dubrovnik to Mostar is about 140 km, which equals a travelling time by car of roughly 2 hours. The route follows the Adriatic coast to Opuzen from where it continues via Metkovic to Mostar. 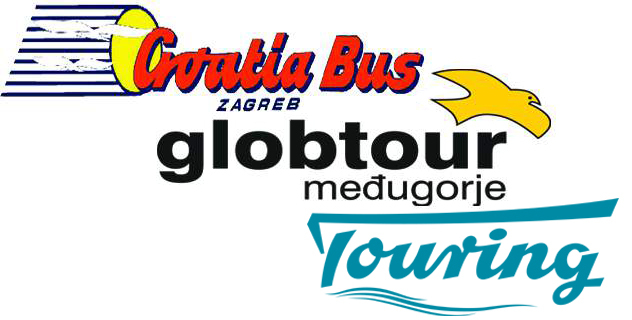 Travelling with bus from Dubrovnik to Mostar: From Dubrovnik there are a few daily buses to Mostar during winter time and several daily buses during summer time. Travel time by bus is about 3-4 hours. Make sure to get a seat at the left side of the bus so you can enjoy the view as you travel along the coast. You can see timetable of buses from Dubrovnik to Mostar below, and here you can see buses in the other direction. Trip to Mostar with overnight: If you are one a roundtrip, Mostar is for sure a destination worthwhile spending a bit longer time. If you stay overnight you have early buses to cities like Sarajevo, Split and Zadar. If you are continuing to Split, you could combine the trips with a visit to Medjugorje, which is only about 30 minutes from Mostar. 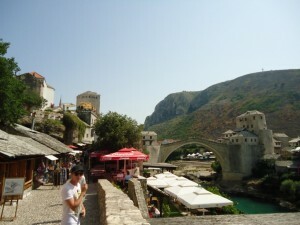 Click on the icons below to see a large selection of apartments, hotels and hostels in Mostar.